It's been a busy in our workshop as we approach the end of November. 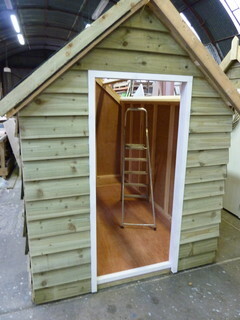 You may have seen our posts proudly launching the brand new 'Nook' Cosy Shed during the course of the last week. A beautifully crafted and perfectly proportioned 6'x5' space bringing the type of secluded sanctuary that allows an easy escape from the toils and pressures of every day life. We think it could work perfectly as ones own personal 'Hygge Hut'. Tell us what you think? 'THE NOOK' is a small yet beautifully formed ply-lined garden retreat with a over-hanging steep pitched, apex roof. 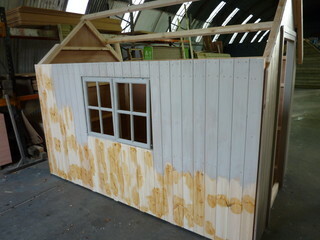 Vertically clad in 14mm T&G Redwood Pine Matchboard & finished in the colour of your choice. . Supplied with a single glazed door and 2 complimentary opening windows. And 1 internal book shelf. Secondly, it seemed appropriate as we approach the cold months ahead to share 3 golden rules when packing up your shed this winter. If you have any further tips don't hesitate to comment!